One of my long time co-workers requested a cake for her boyfriend’s birthday. 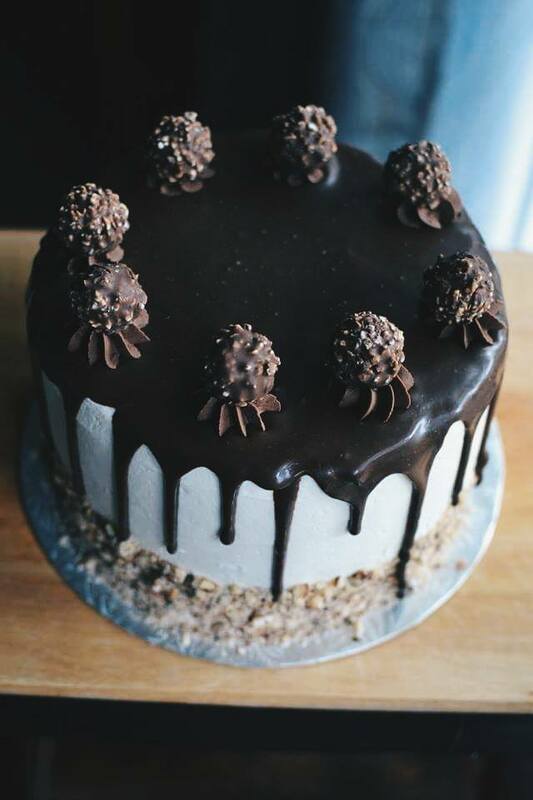 She wanted it to include Ferrero Rocher chocolates on it, which I was SO excited about. Those things are the tastiest things EVER. 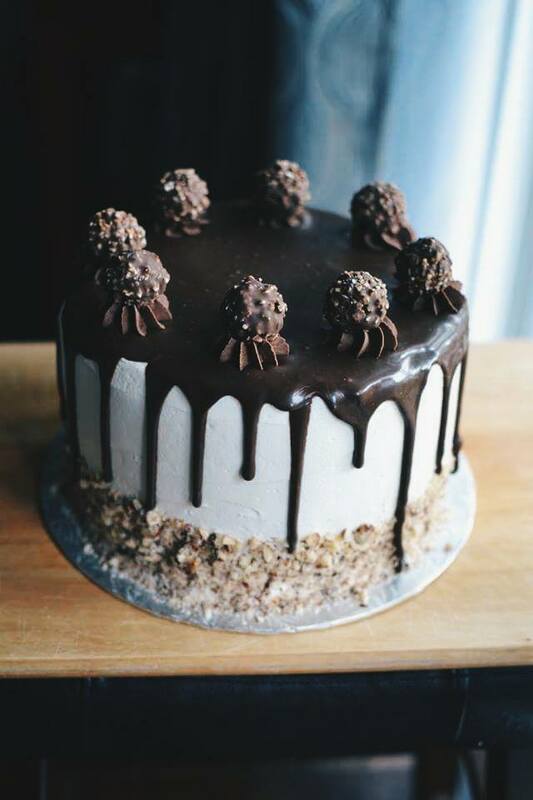 This cake was 8″, four layers of chocolate cake, filled with chocolate buttercream, covered in vanilla buttercream, hazelnuts, chocolate ganache and Ferrero Rocher’s on top. 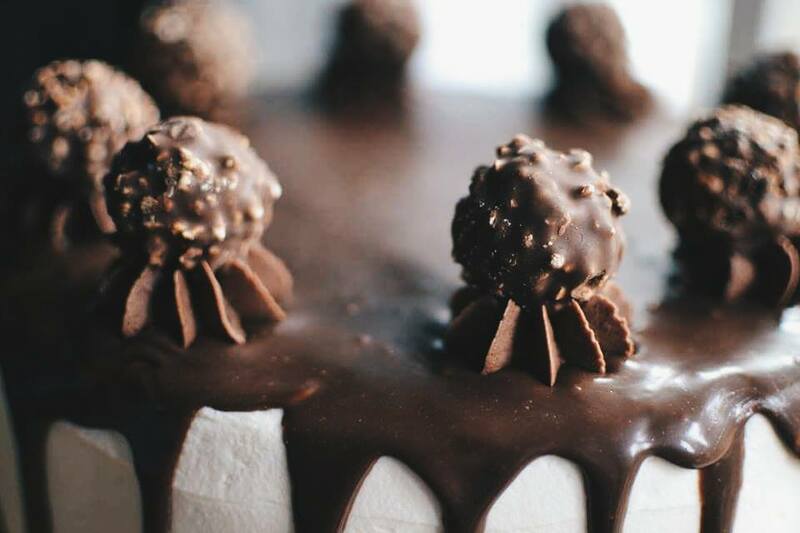 If you’re a big Ferrero Rocher lover (or hazelnut and chocolate lover) I guarantee you’ll LOVE this cake. 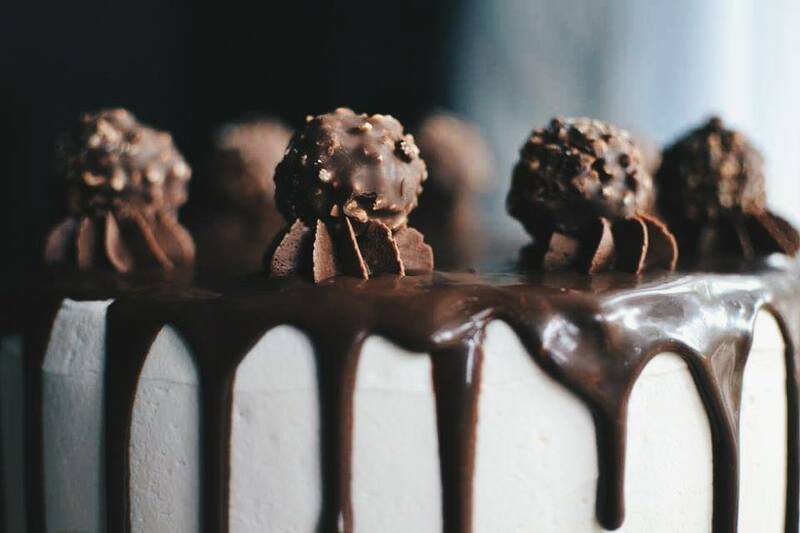 I also made her 12 Ferrero Rocher cupcakes, which I will post tomorrow. 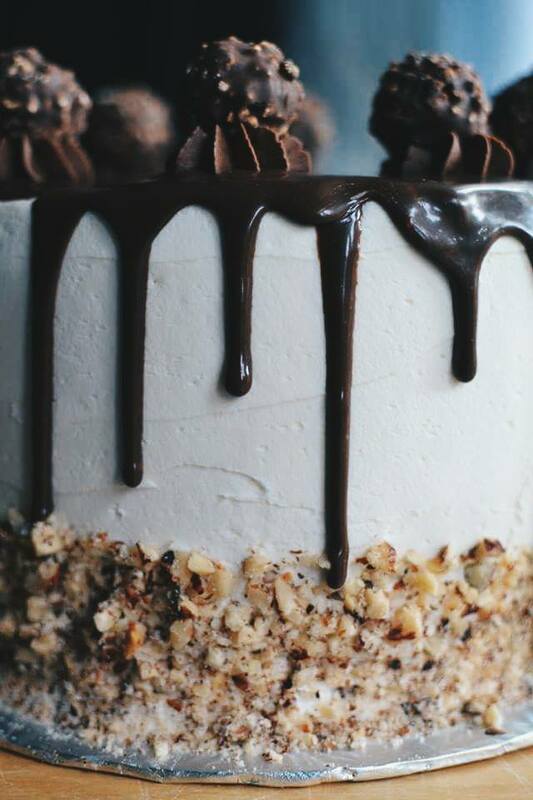 This cake just looks decadent. 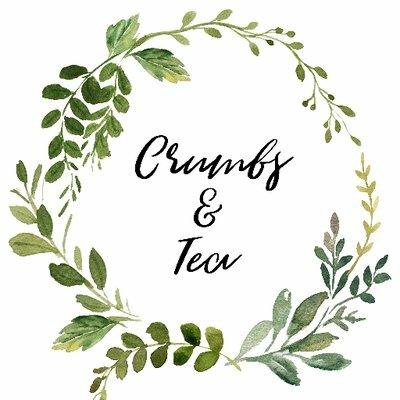 Seriously Crumbs and Tea what are you doing to me? omigosh this the first ferrero rocher dessert i’ve ever seen. genius! definitely going to try this one. thank you so much caitlin! really appreciate it. 🙂 if you do, let me know how it worked out! Holy heavens this is beautiful and looks delicious!